Before we get into our Ultimate Guide Fireplace Decorating Decor– through the magic of technology, I am 34,000 feet up in the air winging it to Las Vegas for the Kitchen and Bath Industry Show. (KBIS) If you are interested in seeing some previous posts about this cool show, click here, here, here, and here. Like my White Paint Post from last week, I am updating this old post, as well. But, actually, I have consolidated two old posts about fireplace mantel decorating. And get this. There’s a THIRD POST on the subject. But, that one I’ll leave for you to check out, because combining three posts would kill me. Guys. I realize that there’s a lot of information on the blog and sometimes it might be hard to find. OR, you are stuck and paralyzed with fear. While I fully understand that you need help, it is very unlikely that I will be able to help you. Believe me, it’s not because I don’t want to; it’s not humanly possible. Last week, alone, there were dozens of emails asking for help or for me to do your research for something. And yes, I know. I’m supposed to do the FAQ/Policies page. Soon. I promise. And one more thing. This is mostly for bloggers. So, if this isn’t of interest to you, please skip ahead. The old posts no longer exist, however, please note that you cannot just delete your posts if you no longer want them published. You will make google vewwwy angwy if you do that. And you’ll also annoy your readers when they get a 404 page not found. You do something called a 301 redirect. If you are using wordpress which IMO, you should be, and you are using the Yoast SEO plugin which I highly recommend, it is easy as can be. Before we move on, I need to be a snobbish snotface. thank you. :] I feel better now. Fireplace mantel decorating has been happening, it appears, ever since the 18th century and probably earlier. I mean, it’s just too tempting to decorate that shelf. Let’s looks at two paintings to see how people lived and decorated their fireplace mantels. Whoa dude! Well, it’s certainly symmetrical. But, I think that husband needs to get a leash for his wife! Or, maybe he’s just given up. No mantel at all… no decor, or money; barely any fire, a simple meal, yet they seem so content. Fireplace Mantel Decorating always looks easy— until you try to do it. Remember the professor that I had at the New York School of Interior Design? Ideally, it should make sense within the decor of the room. Minimal room. minimal mantel. Crazy, quirky room. Crazy, quirky mantel. Some may recall that I claimed that this blog by Ruth Guilding should be required reading for all Americans beginning right around the time we begin to eat solid food. You see; it’s a lot like marmite. You know that stuff that is spread on toast that looks and tastes like congealed motor oil infused with salt and yeast? Well, apparently, you have to be breast-fed marmite in order to “enjoy” it. Otherwise, no American should ever go anywhere near it. That is, unless your bike chain needs greasing. Yes, I’m being completely facetious and I do hope that my Anglo-Saxon readers are having a jolly chuckle. I am really poking fun of us unadventurous Yankees. In the same vein, but a little more toned down is the beautiful fireplace mantel and living room of Ben Pentreath. That’s how it looked in the fall of 2017 when I quickly snapped this image before the rest of the gang arrived. For more of this charming home, click here. I adore that mirror and haven’t found another like it. Time to dive in for real. So, let’s begin with the fireplace mantel decorating ideas that I don’t think are working in these images and we’ll discuss what are good rules of thumb, too. some layering is good, but this is over-kill! No? Is the mantel the primary focal point? Or, is there competition from an adjacent bookcase, window or something like that? Rooms are about balance. Therefore it’s always important to think of each element as it fits into the entire scheme. consideration should be given to the entire fireplace mantel wall. What’s going on either side and how does that fit in? Thinking in threes. This is a little difficult to explain because there are a multitude of ways that something can be a part of a trio. Like three gold frames but one is a mirror and then something silvery like the mirror. Or three basic colors used. Or different pieces but in only one or two colors. What’s not good is having elements like gold, wood, glass, art, mirrors, ceramics, a piece of drift wood and your son’s hockey trophy all on one mantel. There’s no connection. a little layering is usually good, but over-crowding is a no-no. And it is EASY to overcrowd. Mantels aren’t usually that big! avoid lots of ditzy small things. balanced symmetry is always the most pleasing. This does not mean identical twins necessarily left and right of center, but visually balanced. Careful editing. When in doubt. Leave it out! Alright… here are my do’s and some wonderful fireplace mantel designs! source unknown. But I love this for a country cottage-style home. Are we all in agreement that this exquisitely styled fireplace mantel by Jessika Goranson is perfect times three! And here is why. She used the rule of THIRDS. Please notice the number of threes. This is subliminally pleasing to the eye. And this rule goes for ALL styling and design in general. It’s a wonderful rule of thumb to adhere to! In addition, the rest of the room echos the design elements of the fireplace mantel. Or maybe it’s the other way around! Spectacular room! I love the mirror built into the mouldings and the entire feel of this sophisticated space. A bit of whimsy is always a nice touch. For more English Staffordshire Dogs – either antique or vintage, click here. Simple, clean and fresh. It reminds me of San Francisco, for some reason. Alright, I confess… the antlers might be growing on me. I dunno. I never use them, however, I don’t mind them here. 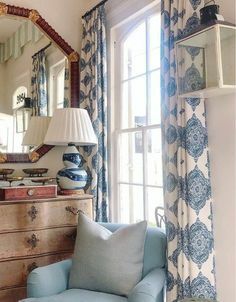 Another gorgeous Victoria Hagan design. Love the fireplace and the stone! oh, while I’m thinking of it. You know those awful, cheap, shiny brass thingy inserts you see so often? Ya know with the tacky doors that turn brown? Well, you can yank all that out! Below is a mantel that I painstakingly “erased” that which lay upon it. There are times when just one thing is appropriate. This is a perfect example. We have an exquisite antique carved fireplace mantel. Imagine junking up the top of it. We could add some elegant sconces or candle sticks and that would be all I would do here! Love the vintage creamware . I think a large collection is fine if that is ALL it is. That is a rich look! Art by Artfully Walls- they are having a sale right now! A few special art pieces make for a satisfying display on this lovely mantel. Charming, homey and slightly Boho. English country house that I was lucky to get to see on my trip to England in 2017. For more of this amazing home, please click here. For more of Jeffrey’s unique and awesome home please click here. Jeffrey’s work is always cool and innovative. Love the little lamps on the mantel. It’s difficult to see, but there are little outlets behind each lamp! Since there isn’t much room overhead, most of the mantel decor is on the wall. Really well-done! Love the red inside of the cabinet! Sheila can do no wrong in my book. Everything she does is exemplary. She innately understands the rule of thirds. Superb display and just right in every way! I love her little quirk of having one thing off-balance. It appears in the image above, as well. This is an older image. But, if we examine it closely, there are two pairs, three pieces of art, and three objets. Beautifully balanced, too. This is a more recent image from Mark’s living room. But, I imagine that the vignette changes frequently. 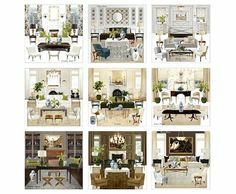 Mark D Sikes – southern living showhouse – gorgeous tone on tone living room – fireplace mantel decorating. You can see more of this amazing room here. India is fabulous! If you ever get a chance to hear her speak, you must. She’s screamingly funny in a very dry, British way. But please just tell me why there is a palm tree growing out of her fireplace mantel that’s sitting precariously close to the edge in a very large GLASS vase? Alright, I realize that I’m going out on a long palm frond here. After-all, who am I to question something that was published in a book by decorating royalty?!? I’m concerned for your safety is why. You have to understand; I raised two HELLIONS. Sure, go ahead and laugh. You have no idea. (or maybe you do?) Alas, I’m alive to tell the tale. If this was in my home while they were growing up, the room would be covered with palm fronds, water and thousands of shards of broken glass. Besides, isn’t it just too overbearingly huge? Maybe India thinks so too? Me thinks a stylist stuck it up there so we would be sure to understand that this is her ISLAND home. Well, we have the rule of thirds, unity of color and form. Besides it’s a Paris apartment. I could move there right now and I wouldn’t change a thing! And also for fireplace mantels with TVs and/or just decorating around the TV, click here. and here, too, for some cool ideas. AND – for a long wall with a fireplace, there are some ideas here. Below is a widget I created with many items that would be good for fireplace mantel decorating; either on the mantel, above it or to the side. Of course, they aren’t all meant to go together. I tried to pick out a selection of classic items. Many of them are on sale. If you see DD, that means that it’s reduced and then reduced again. Please enjoy the long weekend and don’t forget to check out the hot sales! PS: I’ve turned off comment moderation unless you’ve never commented before. (those will have to be approved) Please remember that the word is MANTEL, (shelf above fireplace) not MANTLE (a cloak). In addition, I can’t give individual advice nor answer your design questions not directly related to the post. This post is about the decoration of the mantel, not the mantel itself. Thank you for your understanding. @Mary: You just confirmed a thought that I had about what Ben (5th photo down) may have used over his fireplace. In his case it could be from a small antique buffet/sideboard and was refinished in the gold. Laurel, Thank-you! You are not only helping to educate us ordinary folk in the art of “fine decorating,” but also helping acquaint us with classical music and fine art, LOL! I was very intrigued by the Hogarth painting you posted above, and so I did a quick google and found a very interesting, quick video commentary done by the Kahn Academy about this whole series of paintings, “Marriage A La Mode”. If it is ok to post links on here, I will include it below, in case you or anyone else is interested. In the video, they actually talk about the meaning of the mantel decor, mentioning how there were many items on it, and that most were cheap and gaudy looking, and appeared to be recently purchased, in comparison to the classical architecture and classical paintings of the saints in gilded frames in the next room. Also, it was supposed to be a juxtaposition of sorts against the idea that the aristocracy had inherited their classical values over generations, but it didn’t represent the reality of their lives. It was meant to be a derogatory reflection of the state of the couple’s arranged marriage (the wealthy aristocrat’s son marrying the rich merchant’s daughter for money.) They also mention the classical statue on the mantel as having a broken nose (as if it was knocked over at a party) and the painting of cupid among the ruins (love here was in ruins.) Who knew so much could be revealed just in mantel decorating! I have my grandfather’s tigerwood Empire style sideboard that came with a separate piece that sits on top. It has a mirrored backsplash. I’m sure there’s a name for this piece, I just don’t know what it is. But I’ve used this piece as the mirror above my mantel. I try to keep my mantel decor minimal as to not detract from this piece. Thank you for this, Laurel. Eventually we will need to tackle our mantel, so this post will come in handy. Love that set of 4 French engravings in your widget. Every time I’ve seen the word “mantle” in terms of decorating, all I hear is my late dad’s voice asking, “Isn’t that what the crust is for?” Dad humor. There’s nothing like it. I wanted to give you my thanks, first of all, for the prominent and easy-to-find search feature on your blog. I have used it many times, for everything from paint color to oriental rugs to mantel decor. I’m really grateful for your willingness to share information on design and for exposing me to new interior designers I never would have found otherwise. The Brits generally don’t seem to “style” their mantelpieces as Americans do, they decorate by adding things they find pretty and/or meaningful, including greeting cards, family photos, and invitations. The (Dowager) Duchess of Devonshire was a great example of this, with some of her treasured Elvis memorabilia given pride of place on the mantel where it could be easily and often seen. So many mantels in North America seem to look as if the homeowner tried to combat an empty space in one fell swoop with a shopping trip to Home Sense, rather than a gathered and collected effort over time of favorite things. Which makes me think that a good idea for a post might be the difference between styling and decorating (not to mention stylists and decorators). Thank you so much for your kind words. I understand what you’re saying. And, it is absolutely fine to send me an email with the idea that it might become a blog post. But, that’s not what I’m talking about. I’m talking about very specific situations peppered with the attitude that I’m just sitting here waiting to help them for free. Even if I could help them for free, I would need a lot of visuals and sometimes, ugh, there are so many mistakes, I wouldn’t know where to begin. In my interior design practice, there were often folks inquiring about my services and unfortunately, I couldn’t take those jobs. Humpty Dumpty situations, I call them. Some days I’m so inundated with these requests, that it’s ALL I can do to READ them. It’s frustrating too, because I’d like to help. That’s why I went into this profession in the first place. Now, don’t think that I’m not grateful for what has happened to me. Six years ago, nobody had heard of me. Not only that, my phone wasn’t ringing. And, by June of 2013, was when I realized that I was in trouble. I had this blog/website for 14 months, but nobody was reading it and nobody could find me. That’s when I got the necessary help and found out to my horror, that I was doing dozens of things completely wrong and that many of them were hurting my chances of getting picked up in a google search. That’s when I met my mentor, Eileen Lonergan. Please read my tribute to her. She tragically passed away from metastatic breast cancer last October 31. How high should the mantle be? I know it depends on the room, but is there some helpful guideline or best practice ratio linking the height of the ceiling and the top of the firebox opening? Laurel, what does one do with a 3″ deep by 6′ long mantle that is backed by a wall of mirror (true mid-century)? Wish I could send a picture to show. Basically the wall is divided into thirds. Left side has small built-in book case on upper half, center is fireplace and mirror, right side is all mirror. Right now I have matching decorative vases teetering on each end of the mantel. Another timely post 🙂 as I am working on my mantel. I chuckled at the palm fronds/glass vase comment as I have two boys (5&10) and although I want a tall chunky vase on my mantel it just can’t be for a few more years! I get in MOnday around lunch- can’t wait to see you! where are the DH staying? Great ideas Laurel- I struggled with the mantles in my new (old) home. Next could you do a blog on living room floor to ceiling bookcases? I have a multitude and ever growing stash of books- so the “library” needs to be usable- put I also want it to be pretty. It covers one entire wall of the living room. Enjoy the show in Vegas. My husband and I have recently moved into a condo. I really love it – all white walls, 9 and 10’ ceilings, beautiful kitchen BUT no fireplace. What does one use as a focal point in a living room with no fireplace (and no mantel to decorate😕). Any suggestions or older blogs to consider?